1 Open a very high interest bank account for his Â£4 million a year salary. 2 Pick a good nickname for himself before the tabloids pick one for him. 3 Impose his expected WAG-ban on England meet-ups. 4 Ring his old friend David Beckham to let him know he is frozen out once again. 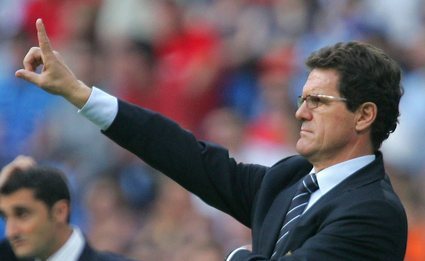 5 Pick a new captain to lead the team in the Capello era (preferably one with fewer injuries and less petulance). 6 Watch some Premier League matches. 7 Polish the medals from his eight domestic and one Champions League titles. 9 Call a meeting to establish any players whose egos prevent them from being part of a setup with some discipline and being bossed by a tough guy. 10 Offend one of the people who has hired him. Apparently Capello wants to bring in sidekick Franco Baldini in a role which every so slightly tramples all over the toes of Sir Trevor Brooking’s director of football post.